Renting from Cramo is the easy and cost efficient way to gain access to equipment you need, but do not have. 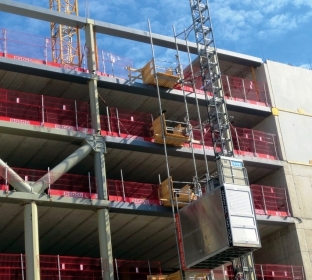 At Cramo you will find the widest assortment of equipment rental products and modular space solutions on the market, premium brands with good functionality and high quality. In addition to our rental fleet you will also find merchandise and accessories for equipment rental at our one stop shop depots. For us it is important to be well updated with new technology, safety regulations and environmental engineering which means our rental fleet is continuously renewed and updated. All investments are done with our customers in focus. 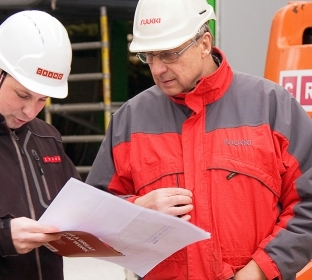 There are several reasons to choose Cramo. With a strong network of 320 depots and sales offices and 230,000 rental items in 14 countries we can provide modern rental solutions in equipment rental and modular space. At Cramo you will find the widest assortment on the market, premium brands with good functionality and high quality. In addition to our rental fleet you will also find merchandise and accessories at our one stop shop depots. 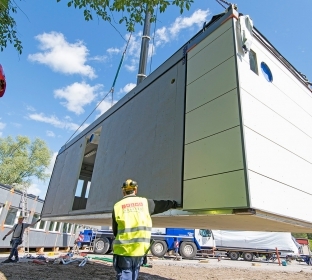 Cramo Adapteo is the brand for Modular Space. We make adding extra space easy – from analyzing your needs and designing a solution to building and dismantling it.